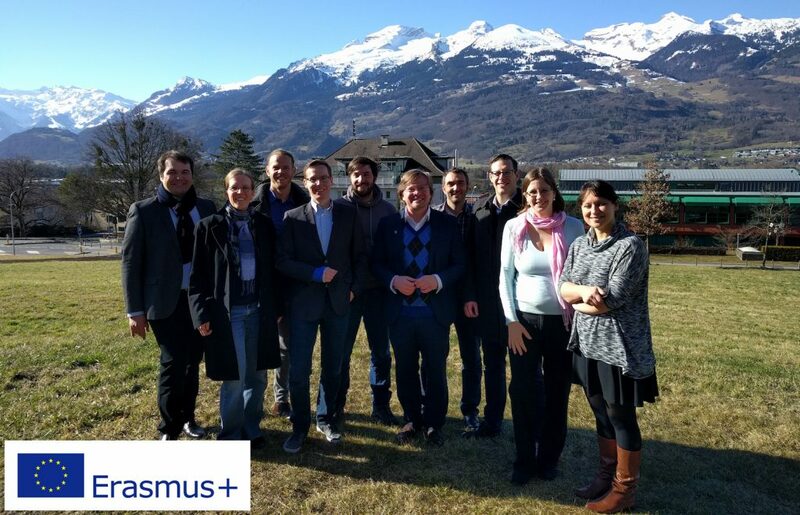 The project partners successfully started the European Erasmus+ project „Business Process Management (BPM) Online”. The goal of the project is the development of a European-wide framework for executive education in the field of Business Process Management. Leading European universities in the field of Business Process Management closely work together in this two-year project. In addition, first ideas on how to realize the BPM curriculum already exist. Signavio serves as an affiliated practice partner in this context. Overall, 15 project members participated in the first workshop: Armin Stein, Nadine Ogonek (University of Münster, Germany), Hajo Reiers, Henrik Leopold (Vrije Universiteit Amsterdam, The Netherlands), Jan Mendling, Monika Malinova (Vienna University of Economics and Business, Austria), Matthias Trier (Copenhagen Business School, Denmark), Bernd Schenk, Guido Forster, Stefan Seidel, Theresa Schmiedel (University of Liechtenstein, Liechtenstein), Christian Falkenberg, Steven Lewandowski (Signavio), Clarissa Frommelt (National Agency for International Education Affairs AIBA, Liechtenstein). The sponsorship by the EU program Erasmus+ makes an important initial contribution to developing a sustainable approach to BPM executive education.